Ask owner Crista Fleming about any dish on the menu at Scarlett Begonia in Santa Barbara, and you’ll get a story. A delicious food story, with characters and influences and reasons for each ingredient, is behind each creation being served at breakfast, lunch or the bakery counter, 7 days a week. Fleming’s varied background in catering, culinary school, traveling, cooking, and editing a food and lifestyle magazine gives her restaurant a rich background in flavors – and the thoughtful dishes show it. On the menu this winter, “Green Heuvos” was inspired by a trip to Big Sur, where Fleming experienced a new kind of Heuvos Rancheros with grilled shrimp and local garnishes. After collaborating with her culinary team, she decided to make her huevos green, using tomatillos and watermelon radishes from Sunrise Organic Farms in Lompoc, and avocados from AvoGanic in Carpinteria. Santa Barbara’s coastal farms provide ideal growing conditions for these veggies through fall and even into winter. Tomatillos love the area’s warm temperatures, and continue to produce fruit through fall, right up until first frost, which very rarely happens along the coast. Fleming loves the bright, tart flavor of tomatillos, whether in this cooked sauce, or a raw salsa. She balances it with fresh guacamole—made simply with just 5 ingredients: local avocado, onion, tomato, salt, lemon—and a garnish of big, gorgeous watermelon radish slices. It’s almost too pretty to eat. Fleming is 100% committed to non-GMO produce, sourcing ingredients as local and organic as possible. And with our long growing season here on Santa Barbara’s coastline, her Indian summer-into-Fall inspiration can come from virtually anywhere. To make Green Huevos, roast tomatillos in the oven until lightly browned, then blend with garlic, onion, water, salt and pepper and set aside. Make guacamole by combining mashed avocado, chopped onion and tomato, salt and lemon juice. Warm a can of organic black beans in a sauce pan with salt and pepper (add garlic, cilantro or any aromatics you like). Next, heat frying oil in a skillet, and lightly fry 2 corn tortillas and set aside. Then sauté shrimp until just pink (1-2 minutes per side), and finally, fry an egg to your liking. To assemble, spread some tomatillo sauce on the plate, then layer the tortillas with beans and sauce. Slide the egg on top and sprinkle queso fresco around the plate. Top with shrimp, fresh guacamole, micro cilantro and big slices of watermelon radish. 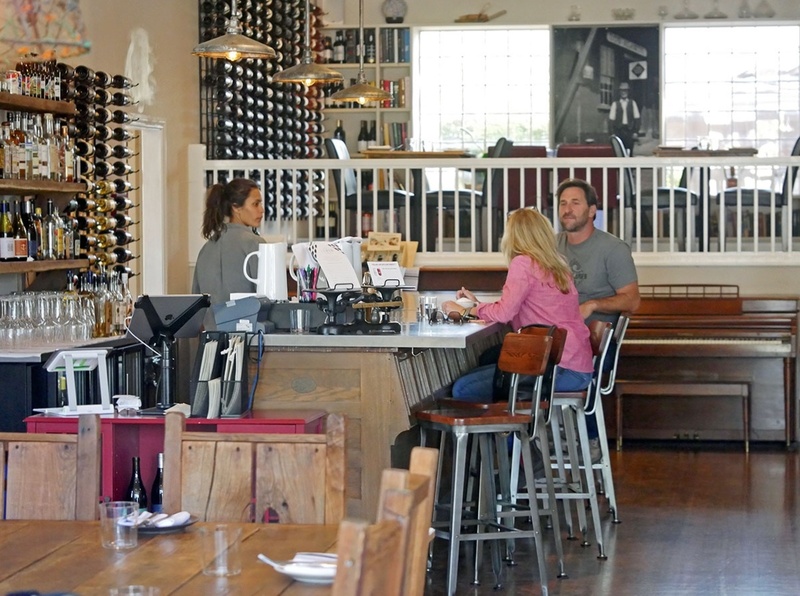 Of the many Los Olivos restaurants, Sides is one of the best. There are many reasons to eat lunch at Sides Hardware & Shoes: the bright location right off Grand Ave in Los Olivos, the great fresh and local ingredients in the dishes, the ever-changing menu, the brothers Matt & Jeff Nichols (longtime chefs in the Santa Ynez Valley, known for the now-closed Brothers’ Restaurant at Mattei’s Tavern and The Red Barn in Santa Ynez). But the two biggest reasons are the house-cured bacon steak and the fried Brussels Sprouts. 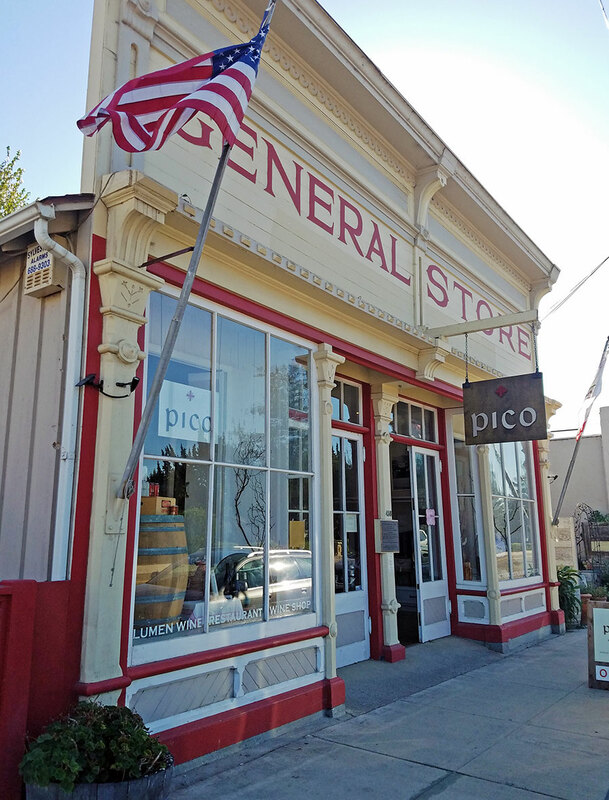 Named for the building’s original shop name (a man named Milburn Sides sold shoes and hardware to townsfolk in the early 1900s), Sides retains its historical charm, just a block off the main flagpole intersection in Los Olivos. And yes, they serve bacon the size of a steak that they cure here in their kitchen. It’s a 4-day process involving maple syrup, sugar, salt, applewood smoke and more, and the meat comes from Salmon Creek family farms, which raise natural, sustainable pork. Don’t miss their daily lunch, and try to get a spot on the outdoor patio on a sunny day (preferably with some girlfriends who don’t have to go back to work). Then you can really enjoy the fennel and goat cheese crostini, beef carpaccio with arugula and shaved Parmesan and any of the market salads you see on the menu. Any burger on this on this menu is a must – the Mexicali burger was topped with guacamole with a crispy tostada slid between the burger and bun. Also not to be missed is the sandwich list: thick grilled cheese, hammered pork with mustard seed slaw and roasted turkey with avocado – I take mine with sweet potato fries. The soups, market salads and fish tacos are all fresh and satisfying. And don’t forget the fried Brussels sprouts with sherry vinegar & capers; if you order one serving per person it won’t be enough! The kitchen team buys as much organic ingredients as they can with much produce coming from local farmers such as Finley Farms, Jacob Grant and Paul Palmer. Beef is from an all natural farm in California (Kobe beef from Idaho), lamb from Colorado and pork from the plains states (all meat is from Newport Meat Company). Important Note: Choose anything on the dessert list – it’s all excellent, especially the house-made sorbets. Ask for the dark chocolate one! 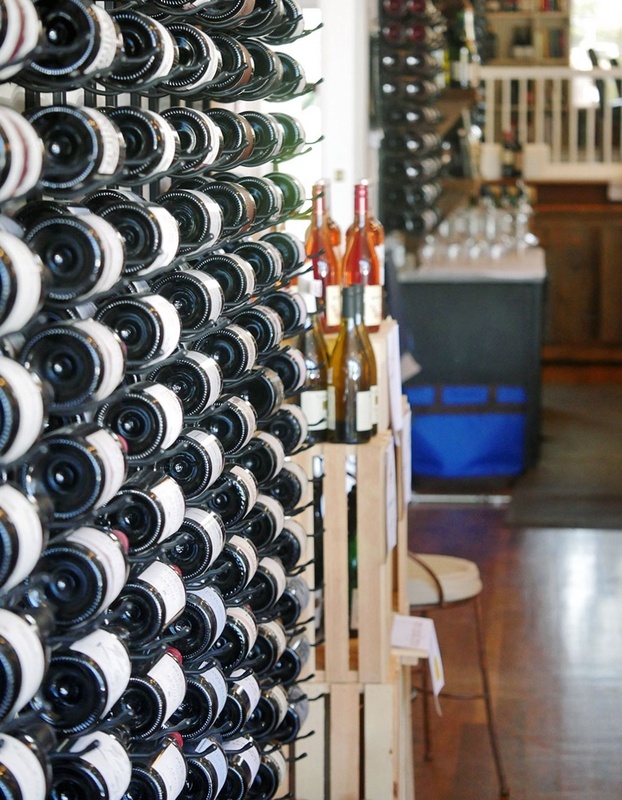 The wine list is as local as you can get, with wines on tap from many spots just around the corner in town. 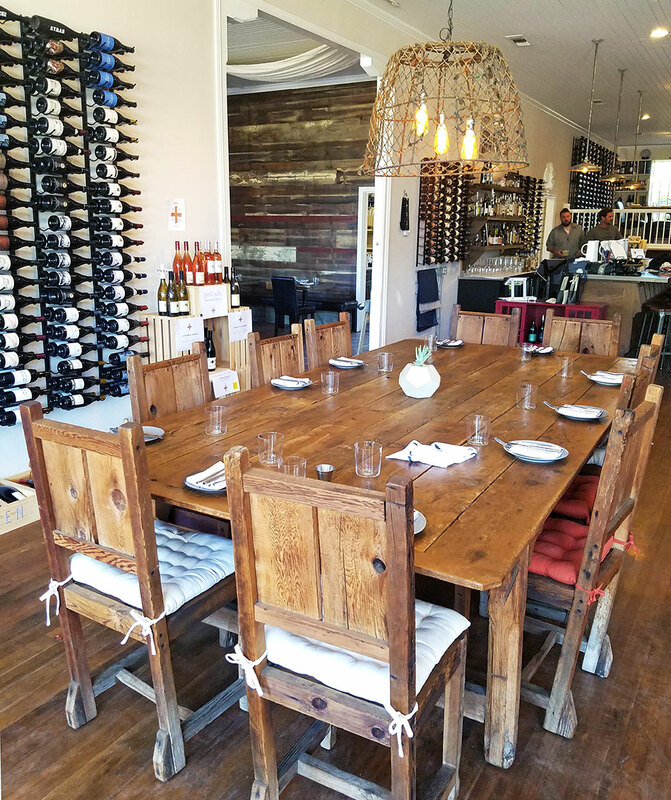 The winemakers themselves are known to dine here, as well as local farmers and cattle ranchers, gardeners and shop owners. Everyone loves a good bacon steak. The fried Brussels Sprouts feature the acids of Sherry and capers instead of the sprouts’ typical leading star: bacon. At a restaurant known for its house-cured bacon steak and twice-won titles at the annual Bacon & Barrels festival, one notices the lack of pork in this dish. To make this at home, trim the stem off washed Brussels Sprouts and cut them in half. Heat peanut oil in a deep fryer to 350 degrees – grapeseed and cottonseed oils also have a high smoke point (olive oil won’t work). Fry them for 2 minutes or until golden brown – before they get mushy inside. Remove them and tosses them with Sherry vinegar and kosher salt, then finish them with a handful of capers. It’s important to use the best ingredients, which means Spanish Sherry – the place where Sherry originates – and when it comes to capers, smallest are best. 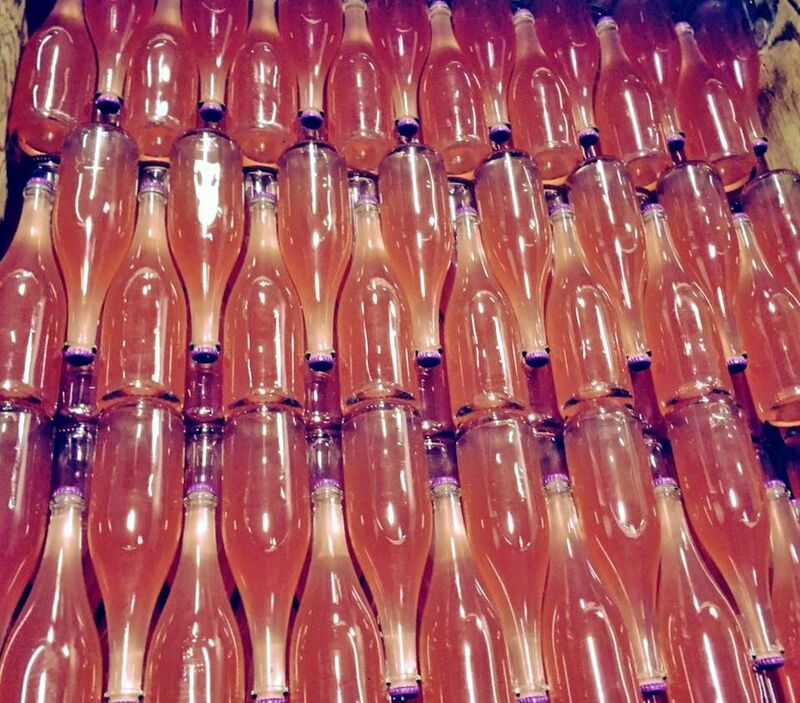 Spring has sprung, and that can only mean one thing in wine country: it’s rosé season. 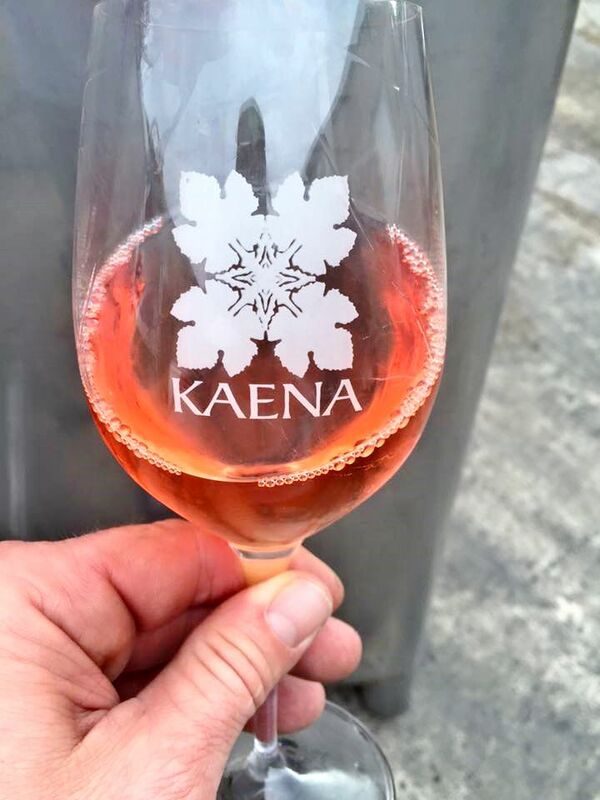 This is the time of year when wineries release their new rosé, to be enjoyed now and all through the summer (and if you can hold onto a bottle all the way until Thanksgiving, it’s superb with the food). 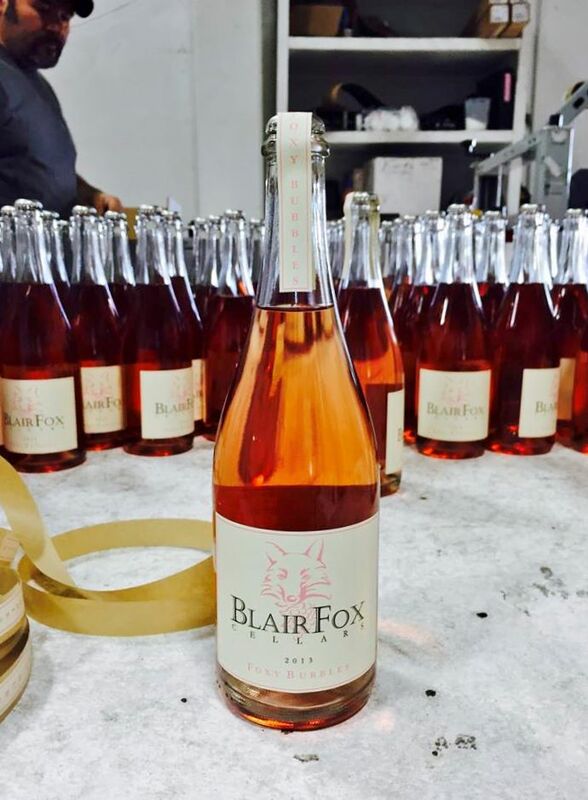 This time of year, rosé is fresh off the bottling line. It can be light and zingy with a hint of color and fruit, or it can have more body and complexity with nice acidity to keep it fresh. Gone are the days of heavy, sweet rosés…most wineries today are making a Provence-style rosé: dry, fresh, a little (or a lot) fruity with tons of acidity to keep your mouth refreshed. Just what we need on warm Spring days and Summer evenings. 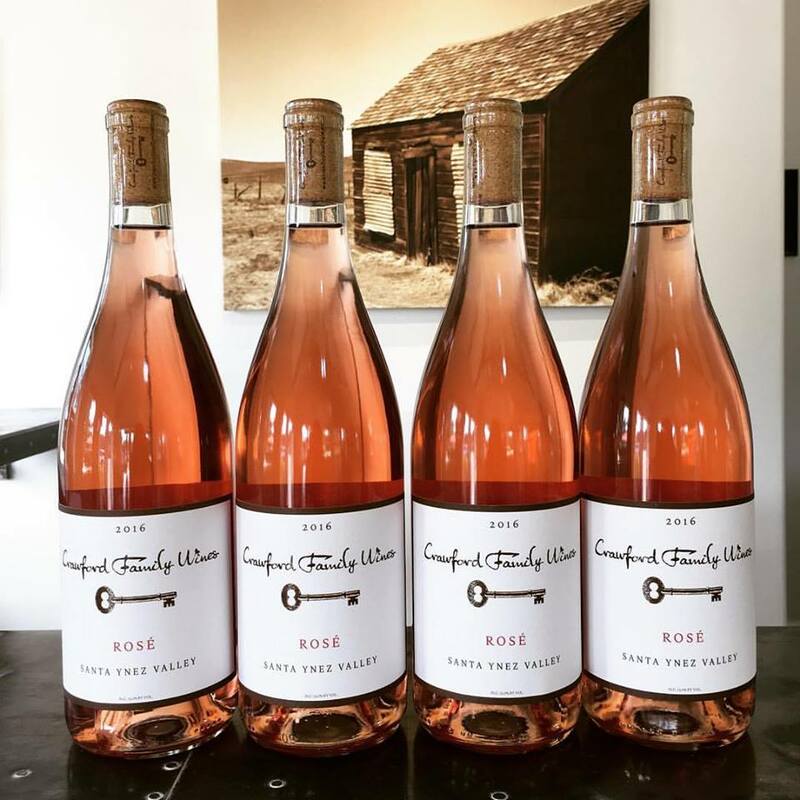 Crawford Family Wines has a beautiful rosé of Grenache from a vineyard called Mesa Verde right in the middle of the Santa Ynez Valley, for those who like it light and lively. 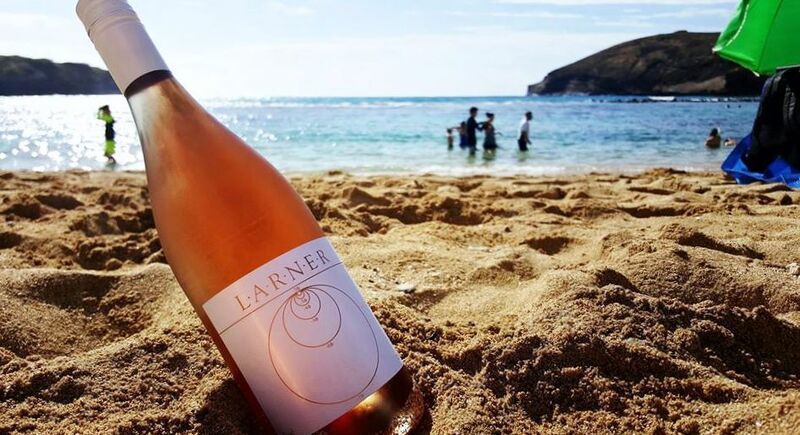 Larner Vineyard & Winery makes Syrah/Grenache/Mourvedre rosé this Easter weekend as well. This Rhone blend of grapes is really the classic choice for rosés from Provence. 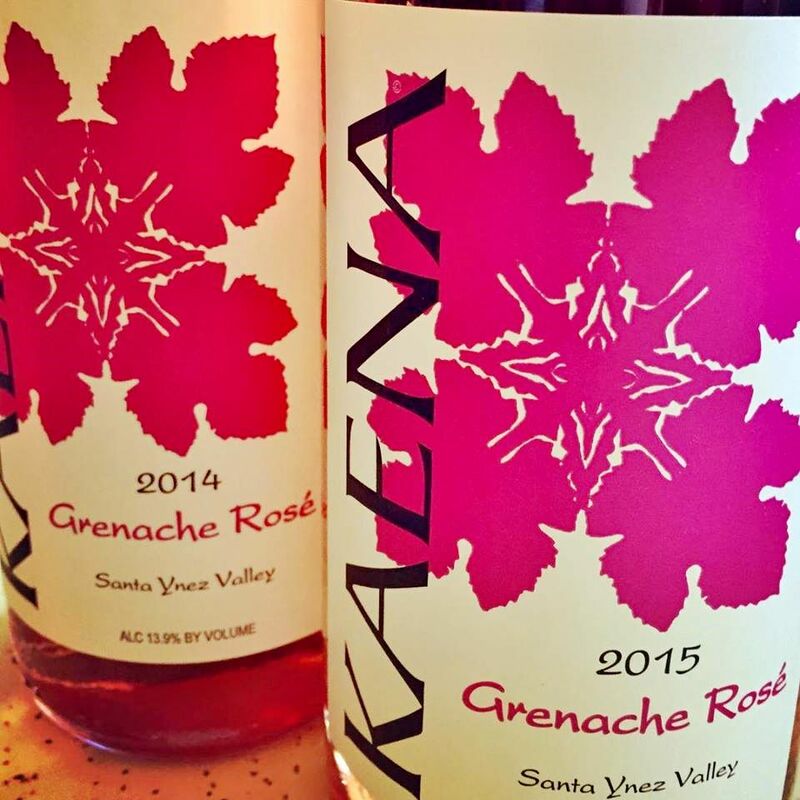 Kaena Wines makes a more complex rosé of Grenache, a pretty wine that can easily stand up to summer barbecues. 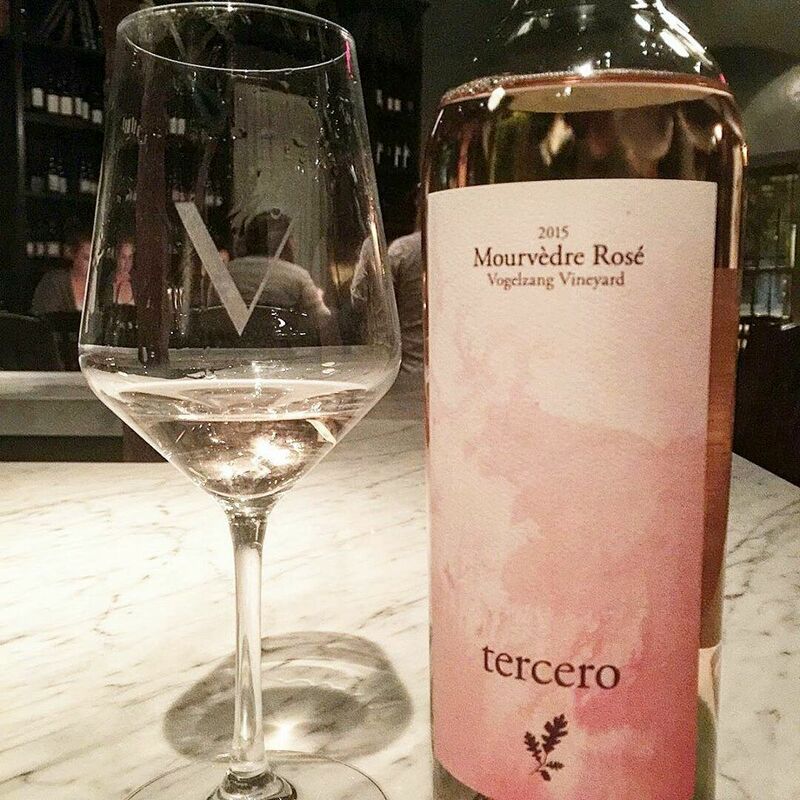 Tercero Wines releases a rosé of Mourvedre (the folks in the tasting room are known to open a bottle early for someone who asks!) and we can’t wait to taste it, knowing his skill with the grape. 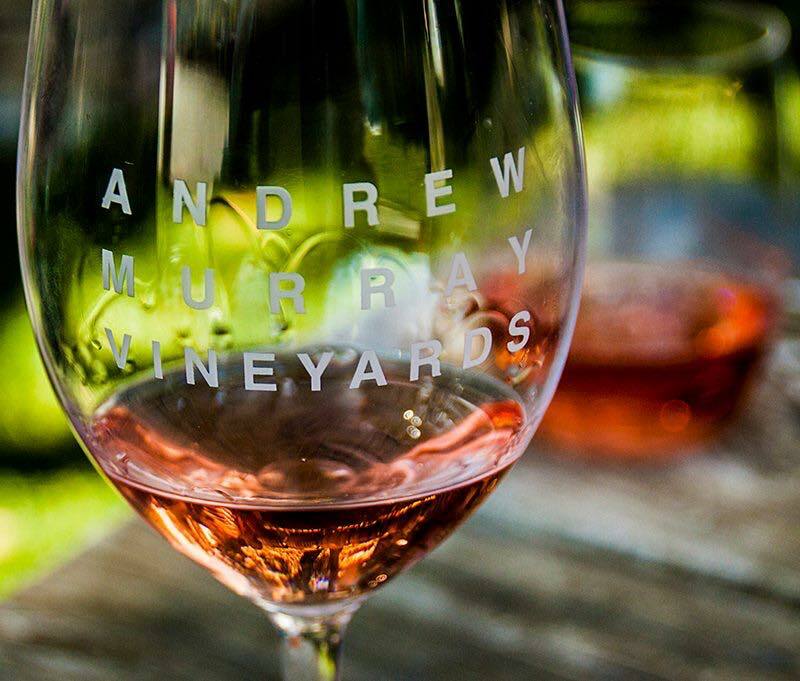 Andrew Murray Vineyards makes a nice rosé of Cinsault, which is its Esperance rosé, following in Andrew’s style of ripe fruit and bracing acidity. Have fun with these wines and don’t forget to Drink Pink! Chef Augusto Caudillo cooks food the way his grandmother did: from scratch, over several days if needed, with local ingredients and a nod of respect to people in his family. And like his grandmother, Caudillo’s notion of family extends to customers, local growers and mentors as well as actual relations. Caudillo runs Scratch Kitchen in Lompoc alongside his brother-in-law-partner Gonzalo Pacheco, with lots of help from his wife, sister and the greater community. Caudillo knows it takes a community to successfully run an affordable farm-to-table restaurant. So food producers like Santa Rita Farms become family, dropping by on Wednesday evenings to let Caudillo shop their truck, plan future plantings and have a beer. His cooking mentor Chef Maili Halme also became family, as the pair worked together over years perfecting their crispy fried chicken recipe. His version of that dish is now on Caudillo’s menu at the popular eatery. Caudillo sources chicken from Jimenez Family Farm in Santa Ynez for the quality of the meat and the sustainability of the farming, but also because it is a family-run farm. He wants his small family to help support other small families, creating a sense of community among them. This larger family also helps keep him connected to where our food comes from. To make Caudillo & Halme’s perfect fried chicken, Caudillo starts a day ahead. He brines the chicken in buttermilk, salt and spices (add any spices or flavorings you like) for 24 hours. He then mixes equal parts flour and Panko bread crumbs (use more Panko for more crunch) and covers each piece with the crumb mixture. Caudillo heats vegetable oil (he uses canola/soy) in a fryer to 375 degrees and cooks each piece for 7-8 minutes — this temperature is important so as not to over-brown the chicken. He then cooks it in a 350 degree oven for 13-15 minutes or until the chicken reaches 165 degrees. Caudillo’s sauce is his own, a “no-waste” traditional French veal sauce. He sautées carrots, onions, celery, mushrooms, in-house smoked bacon and any recent meat trimmings, then adds stock and red wine, reducing it until thick. At Test Pilot in Santa Barbara’s Funk Zone, citrus is key. So are tropical fruits, Guyanese rum and absinthe foam. 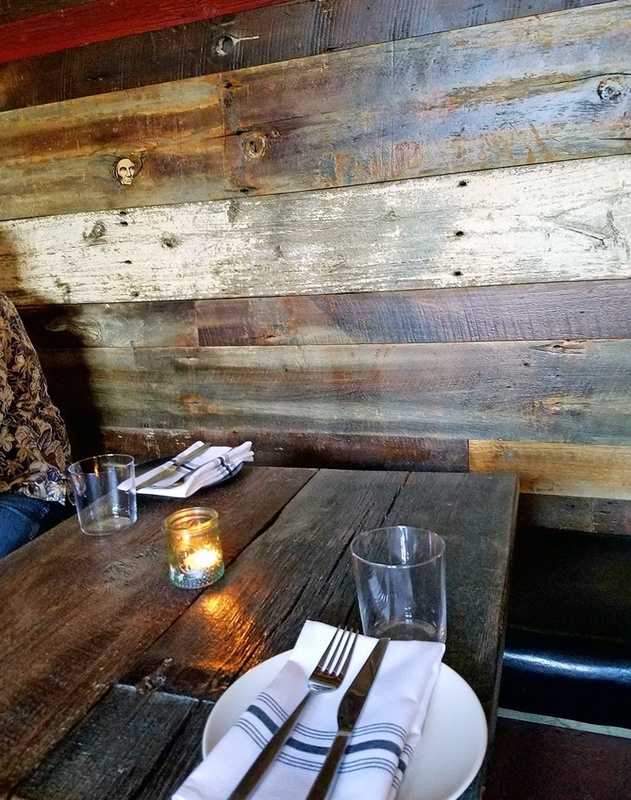 Owner Brandon Ristaino, who also owns The Good Lion, is intent on supplying high-quality, delicious and interesting drinks to the neighborhood, complete with housemade ingredients and perfect garnishes. He’s also intent on buying local, and reusing as much produce as he can. “We buy all our citrus from Mud Creek Ranch for both locations, and we resuse every citrus twist.” All twists are saved, pressed and combined with juice for cocktails or old-fashioned shrubs. Lime halves are also saved, scooped out and then filled with absinthe foam for the bar’s signature Test Pilot. To get to 90% local produce across both bars, Ristaino is looking to Carpinteria for tropical fruit and Harvest Santa Barbara, a local farm-produce delivery service, for the winter pears in this slushy, winter spice concoction. The pears are first made into a cordial, which is a fruit-based, fortified syrup that’s concentrated and used as an ingredient in various drinks. To make a pear cordial, Ristaino juices fresh Bartlett pears with the skin on, then strains the juice. He adds 1 part organic sugar to 1 part pear juice, and .75 ounces overproof vodka (or any neutral, clear spirit over 80 proof). Store in a fridge for up to 3 weeks. 1 dash aromatic bitters (like Abbot’s), 1 dash cherry bark vanilla bitters and 3 dashes absinthe (like St. George). Shake vigorously for 8-10 seconds with ice. Strain all contents into a chilled cocktail glass and garnish with fresh grated nutmeg. Test Pilot adds this to their slushy machine with some water, but to make it at home, put all ingredients but the lemon juice into a sealable plastic bag. Add 3.5 ounces water and freeze overnight. To serve, add it and the lemon juice to blender and flash-blend. In a pinch, blend all ingredients with a few ice cubes to taste. For most of us, winter means time for soup! And the ultimate soup is consommé: a super clear, concentrated broth usually served with a few hearty ingredients like meat, pasta or vegetable garnishes. A soup so clear and simple can taste so bold with amazing concentration of flavor. Of course, there are many steps to make this perfectly clear, traditional French soup, so we’re lucky Chef Drew Terp at Pico Los Alamos can show us how to make it. Chef Drew has cooked in and helmed at Michelin-Starred kitchens from Napa and New York City to Spain, Las Vegas and Washington D.C. Now he is spreading the love in Los Alamos, with monthly Chef’s classes at Pico. “I want to help cultivate passion in people that want to learn to cook better. It’s such an opportunity to be able to go into a professional kitchen to learn, instead of online or with video,” says Chef Drew. He remembers folks calling in with cooking questions to the butcher shop where he worked in Alabama, and he loved helping each one. This winter, get In the Kitchen with Chef Drew as he takes on broths, sauces and consommés. Locals, tourists, farmers, cooks and novices can learn how to make flavorful, healthy broths from scratch and turn them into delicious soups, sauces and more, right from the source himself. Check the schedule at LosAlamosGeneralStore.com. To make duck broth consommé, ask your butcher for duck bones (or beef knee or leg bones), then heavily roast or grill them (about 2 whole ducks or the equivalent) until brown. Large-dice onions, carrots, fennel and garlic and brown them in grape seed oil in a large stockpot. Deglaze with dry white wine (about 1 pint), scraping bottom of pan and reducing the mixture by half. Remove from heat, add roasted bones and cover with cold water, toasted peppercorns and bay leaf, then simmer on low for 4-6 hours. Strain with cheesecloth and refrigerate overnight. In the morning, grind carrots and onions with 2 egg whites, put in bottom of stockpot and gently cover with the cold broth. Cook over very low heat 20-40 minutes, and do not stir! The mixture at the bottom will create a raft and begin to float to the top, clarifying the broth on the way. Once it floats, remove and let rest at room temperature until rats sinks a little, about 30 minutes. Pour through cheesecloth and add salt, pepper and soy sauce. 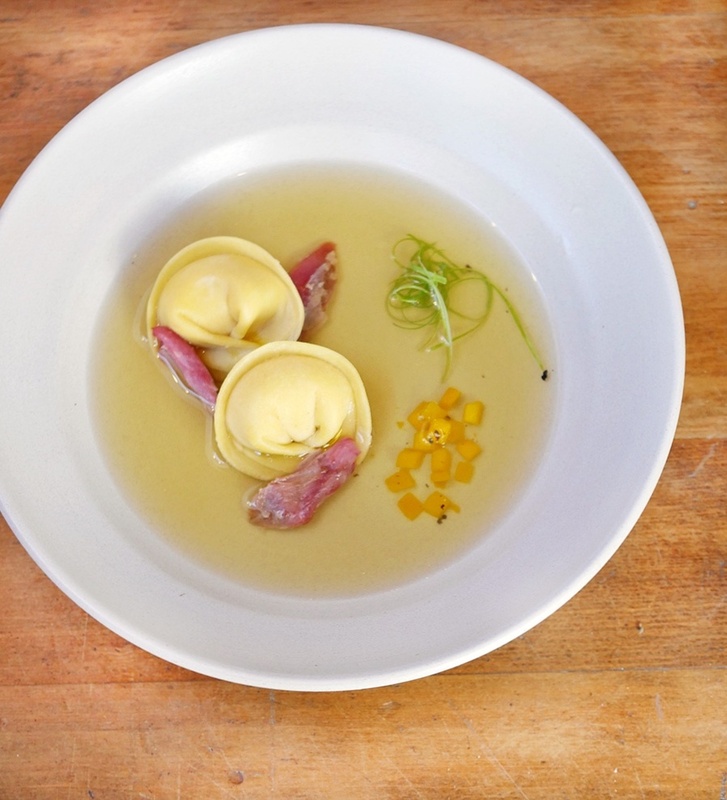 Pour heated consommé over cooked pasta, grilled meat, blanched squash and green onion in a warm bowl and serve.